With Valentine’s Day right around the corner, romantic gestures and date nights with loved ones are beginning to fill the minds of many Angelenos. For those looking to extend this romance beyond one day of celebration, they need to look no further than a new home that allows them to enjoy every aspect of the home together in a way that enhances their relationship year-round. 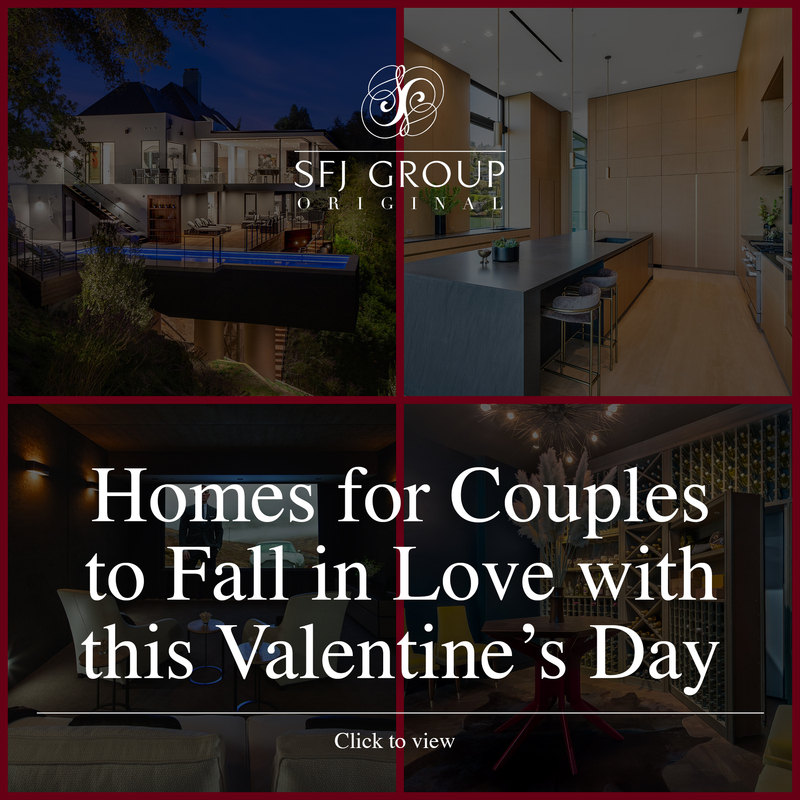 From the Bird Streets to Bel Air, these awe-inspiring homes currently listed by SFJ Group offer unique features to make every day a shared celebration of love. Situated in prestigious Bel Air and enveloped by lush landscaping, this Zen sanctuary is a private and tranquil oasis. Offering the ultimate indoor-outdoor experience, this home is ideal for those who love the outdoors as it boasts a five-star hotel-like garden alongside a floating pool and outdoor shower all accessible through the master bathroom. Couples can choose from lounging by the cantilevered pool with a favorite drink or having an intimate picnic for two set amongst the treetops in your own backyard. With floor-to-ceiling windows that show off lush greenery throughout, Bel Air’s secluded paradise offers the best of both worlds: natural beauty and seeming seclusion. Located atop an intimate cul-de-sac on one of the most coveted Bird Streets, this estate exudes opulence with its exquisite chef’s kitchen. Ideal for the couple who enjoys cooking a gourmet meal together than eating out, the kitchen combines functionality with beauty with Miele appliances, tailor made SuMisura brass-accented Italian cabinetry and an expansive black silk granite eat-in island. Boasting awe-inspiring panoramic views, couples can enjoy quality time together while soaking in breathtaking city views. 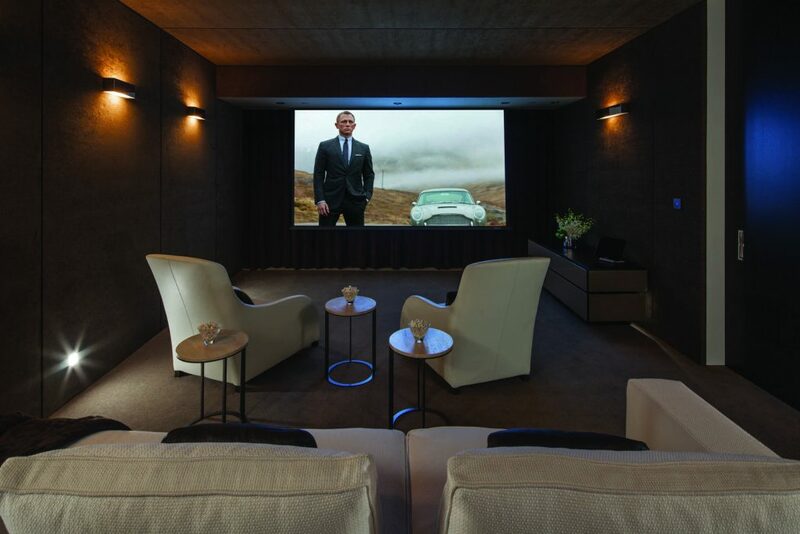 For the cinephile couple who not only enjoys a classic film but aspires to live in a movie-set worthy home, this standout Beverly Hills estate boasts a cozy private movie theatre made for a luxurious dinner and movie night. The perfect home for entertaining allows you to escape from reality with an old romantic movie, and when the credits roll you can enjoy the one-of-a-kind pool that wraps around the entire estate that provides truly cinematic views. This contemporary, lavish estate is the perfect fit for the couple looking to channel their inner sommelier. 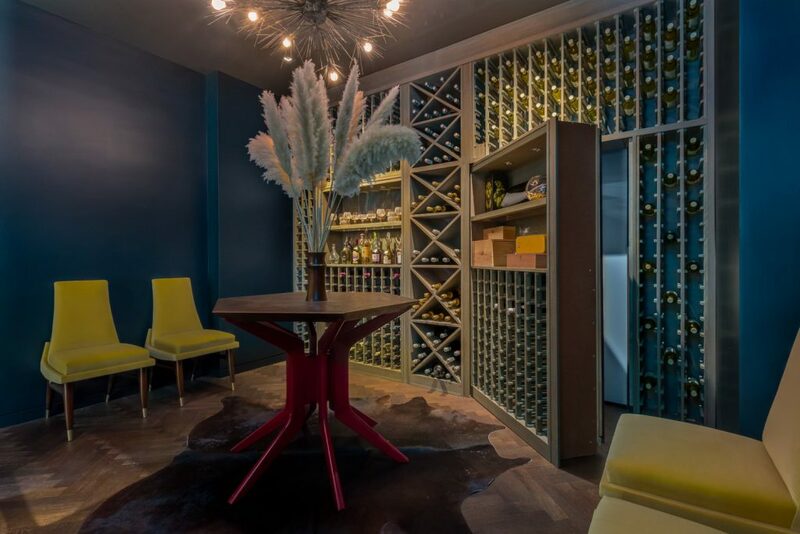 The estate’s extraordinary wine cellar, which features a secret closet, allows for storage of an extensive variety of wines, providing endless opportunities for wine tastings. Outside, an oasis awaits with a stunning pool, graduated terrace steps crafted for farming, a chicken coup and a beehive, providing a Napa-like backdrop ideal for sampling your selection of wines.